Port of Spain, Trinidad.The Caribbean Court of Justice (CCJ) today issued its reasons for dismissing the appeal of Mr. James Ifill, a public service employee, who was compelled to resign from his office after an investigation found him guilty of several misconduct charges. Mr. Ifill had been employed as a Transport Inspector in the Ministry of Public Works and Transport since 1984. In October 2002, ten disciplinary charges were laid against him and a senior public officer, Mr. Carlos Belgrave, was appointed to investigate the charges. In a report subsequently tendered to the Public Service Commission, Mr. Ifill was found guilty of seven of the ten disciplinary charges, the majority of which concerned prolonged and undocumented absences from work. The findings in the report led the Public Service Commission to advise the Governor-General that Mr. Ifill should be required to compulsorily resign from the Public Service. The Governor-General accepted this advice and indicated this to Mr. Ifill in a letter dated 31 July 2003. This letter also informed Mr. Ifill that he had a right to have his case referred to the local Privy Council within 21 days if he so desired. Despite receiving a subsequent correspondence which once again informed him of his right to refer the matter to the Privy Council, Mr. Ifill took no such action. Consequently, he was informed on 20 October 2003 that the Governor-General had acted on the Commission’s advice and his compulsory resignation would take effect on 1st November 2003. Nearly five years later, Mr. Ifill initiated court proceedings to challenge his removal from office. Both the High Court and Court of Appeal dismissed his case, having found that the investigation was appropriately and fairly conducted. Mr. Ifill then moved to the CCJ arguing that his removal from office contravened section 98 of the Constitution and that the investigation was conducted in a manner that was unfair to him. In addressing the conduct of the investigation, the CCJ referred to the report by Mr. Belgrave of the conduct of his investigation, which detailed the statements and arguments of Mr. Ifill and his legal representative. The report also detailed the problematic relationship between Mr. Ifill and his immediate superior. Based on these details, the Court was satisfied that Mr. Ifill was given every opportunity to respond to the charges, as confirmed by his successful defence of three of the ten charges laid against him. 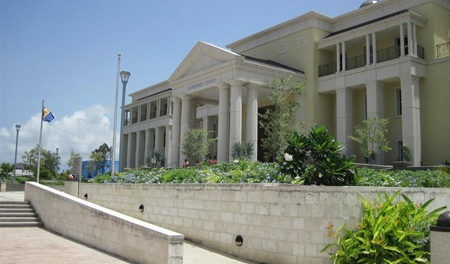 The Court found that Mr. Ifill had received a “full, natural justice hearing”. In response to Mr. Ifill’s contention that he was entitled to an oral enquiry by a 3-member tribunal, the CCJ observed that since the investigation by Mr. Belgrave was itself an oral enquiry there was no practical reason for the Commission to have called for a second oral enquiry. Mr. Ifill had also argued that the language used in the letter informing him of the Governor General’s acceptance of the advice of the Commission led him to mistakenly assume that a judgment had already been made against him and, hence, that referring his case to the Privy Council would have been pointless. While the Court acknowledged that the language used in the correspondence to Mr. Ifill could have been clearer, it pointed out the fact that Mr. Ifill had the benefit of legal counsel at the time who would have experienced no confusion. The Court also rejected Mr. Ifill’s claim that compulsory resignation was an inappropriate sanction in his case, since it was expressly provided for in the Regulations. The Court pointed out that the sanction of compulsory resignation allowed Mr. Ifill to still collect his pension, when he becomes eligible to do so, which he would have otherwise lost had he been simply dismissed from office. The CCJ dismissed the appeal and made no order as to costs. The full reasons for decision are on the Court’s website at ccj.org.